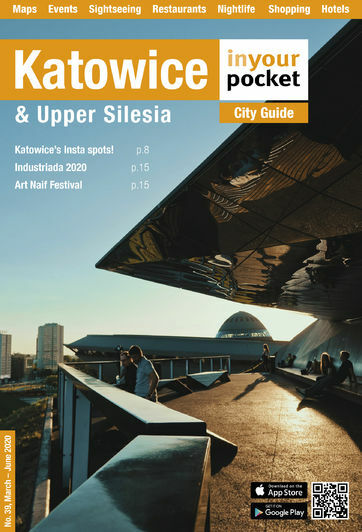 For decades Katowice had a serious PR problem and many a visitor used to literally get off on the wrong foot upon arrival. That was undoubtedly the fault of the former central train station – a truly ghastly architectural abomination that sheltered all manner of strange smells and a host of dubious characters. Having ourselves survived many a close encounter with tunnel dwelling riffraff and several existential dilemmas while commiserating in the communist era cafeteria, we are overjoyed to announce that those days are gone for good! A new era has dawned on Katowice and travellers no longer have to live in fear of drawing near to this huge transportation hub. The loooong awaited, fully renovated and totally reconceptualised Katowice train station officially opened in October 2012 and is now fully operational. The finished product is indeed a thing of beauty and although this writer may say it through clenched teeth, it was well worth the wait! While it may take some time for people to scrub the industrial stain of the old train station from their memory, as soon as you step foot into the gorgeously modern exposed concrete glass and steel main train terminal, you may forget you’re even in Katowice. Around 1,400 workers and subcontractors worked almost around the clock for two years to transform what was one of the biggest eyesores in Poland into a serious sight for sore eyes. Fully equipped with the utmost in modern conveniences including over 50 new cafes, bars, restaurants, mobile phone shops, newsstands, cosmetic dealers, travel agents plus a totally revamped ticket and timetable window. Although it has plenty of flash and sheen, the exposed concrete gives it a modern industrial feel that melds perfectly with Katowice’s history and image. No one would ever have imagined that arriving Katowice by train would be actually be a joy, rather than a pain.